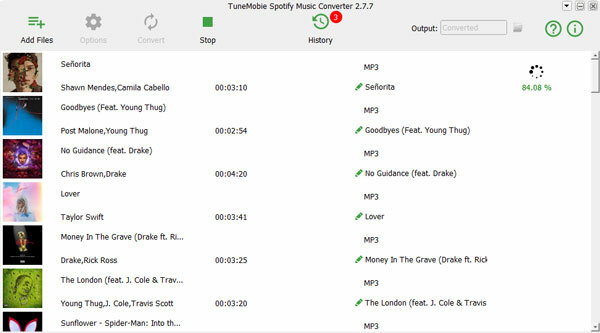 On January 4, 2018, TuneMobie Software released Spotify Music Converter for Mac. And one month's later, the long-awaited Windows version was finally released as well. Both features and interface of the Windows version are similar to Mac version. The free trial version also allow users to download and convert 3 minutes of each song. The version number of first release of TuneMobie Spotify Music Converter for Windows is 1.0.1. 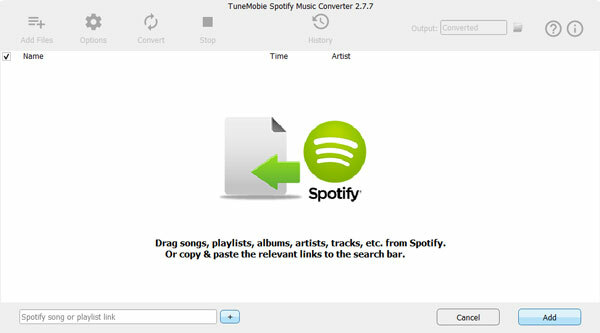 TuneMobie Spotify Music Converter is designed for Windows users to enjoy Spotify Music without any limitation. There are many limitations on Spotify free account, such as no offline listening, internet connection required, normal streaming audio quality, shuffle playback only and not for iPod Nano/Shuffle, Sony Walkman and MP3 players. If you have subscribed Spotify premium, you can listen without an internet connection, but you can download up to 10,000 songs per device and enjoy them on a maximum of 3 different devices. Downloaded Spotify music tracks are protected Ogg Vorbis. The format is not so common as MP3 or M4A and can't be recognized by many devices. To help Spotify free users to enjoy their favorite music on any devices offline, and to help Spotify premium users to get best offline listening experience with best compatibility, we developed Spotify Music Converter for both Windows and Mac platforms. 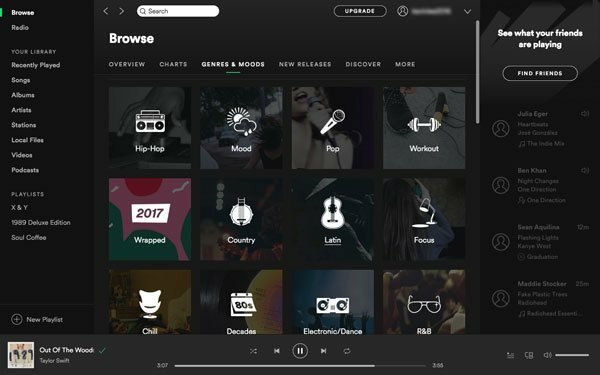 Spotify Music Converter allows users to drag songs, albums or playlists directly from Spotify to our program, or copy link of song, album, artist or playlist to search bar at the bottom of the program and click + button. This smart Spotify music downloader will detect the real location of the music and download to computer, convert to widely used audio format like MP3, M4A, WAV or FLAC. The program can also preserve all ID3 tags including song title, album, artist, artwork, etc. to prevent from confusing file name like track01.mp3. Spotify Music Converter is extremely easy-to-use. You can download the free trial version below, which can convert 3 minute of each song. If you need a detailed user guide, please refer to Spotify Music Converter for Windows user guide.